* You get one sheet with 8 gold fancy decorations! These have colored foil on the front and back. So lovey and Victorian. 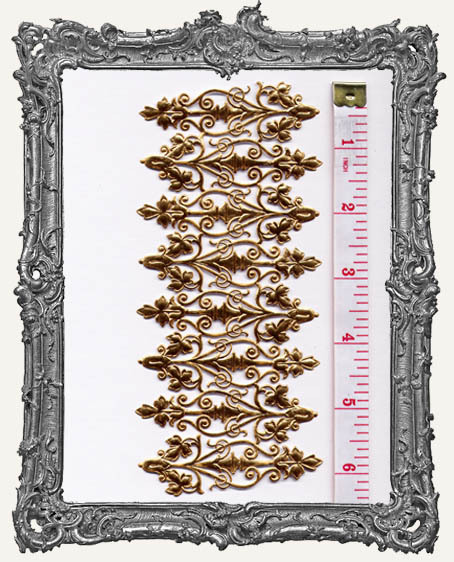 Each piece measures approximately 2.75" long x 1" wide. These pieces have a much deeper gold color than some of the other gold Dresden. Almost a brass color. Also available in silver and black!